If you have been having any problem with your garage door, scroll down below for our blog and find lots of helpful and useful information from our team of experts. You thought that everything would be perfect after the new automatic garage door installation but at some point you encounter strange behavior. The reality is that not even the best automated system can function perfectly at all times. The good news is that most problems are small and easily fixable. Machines will rarely die from one moment to another and they usually send out warning signs of their sickness and an SOS message for treatment. Unfortunately, we usually don't recognize these signs and one morning we just get annoyed with the dysfunctional door due to the broken garage door spring. 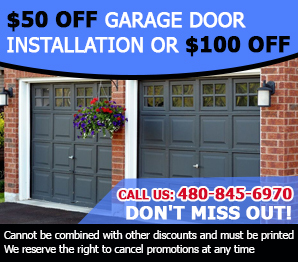 Electric garage doors are very fantastic when they are installed correctly by people who are experienced and technically oriented with how to handle everything with competence.